Let's Stamp! : New Mini Catalogue! 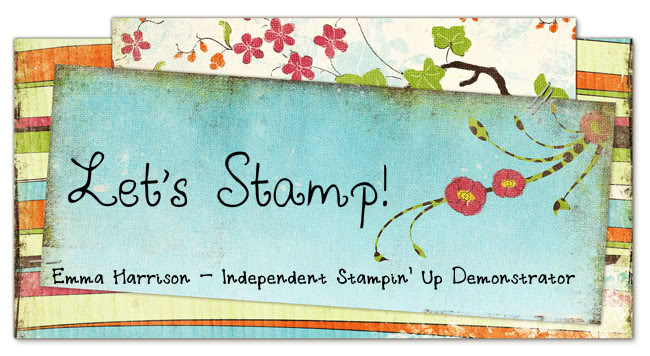 I love April, not only does it mean Spring is here and with it lots of pretty flowers, but it's also the launch date of the 2011 Stampin' Up! mini catalogue. This year's edition is a bumper one with 31 pages of gorgeous new stamps, punches, papers and ... the BIG SHOT!! 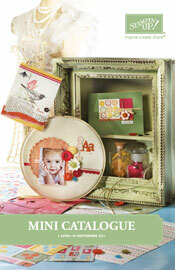 You read it right, we now have the wonderful Sizzix Big Shot, and with it lots of lovely exclusive Stampin' Up! dies. I'll be demonstrating it at my workshop on Saturday 9th April but if you can't make it, then why not book a workshop and I'll show you all sorts of lovely cards and 3-D items that you can make with this beauty! One of the perks of being a demo is that you can get your hands on some lovely new products before they are released. I'm taking part in a Mini Catalogue Marathon blog hop tomorrow, so if you pop back then you'll be able to see what I've come up with and visit lots of other SU demo blogs full of gorgeous cards!